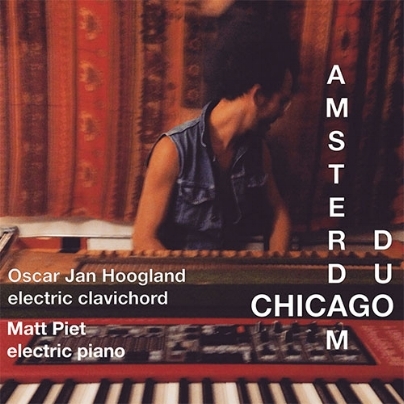 Four Letter Words - "Blow"
Oscar Jan Hoogland & Matt Piet - "Amsterdam/Chicago Duo"
Matt Piet - "silent moves, unseen"
Matt Piet & Ken Ge - "ashes/dreamspeak"
Matt Piet Trio - "Of Sound Mind"
Rempis/Piet/Daisy - "Cure for the Quotidian"
Matt Piet Trio - "Live at Constellation"
Matt Piet Trio - "at the Hungry Brain"
Matt Piet & Paul Giallorenzo - "WOOD, WIRE, AND STEEL"
Matt Piet/Raoul van der Weide/Frank Rosaly - "Out of Step: Live In Amsterdam"
Four Letter Words - "Radio Silence"
Rempis/Piet/Daisy - "Hit The Ground Running"
Matt Piet Trio - "Live at Elastic Arts"
Matt Piet & Tim Daisy - "strike one; strike too"
Matt Piet - "the bitter angles of our nurture"
Four Letter Words live at Constellation on March 4, 2017. Performing "Dr. Faustus In Space" by Matt Piet. Matt Piet - Piano Jake Wark - Saxophone Bill Harris - Drums Audio and video produced by Dan Nichols. 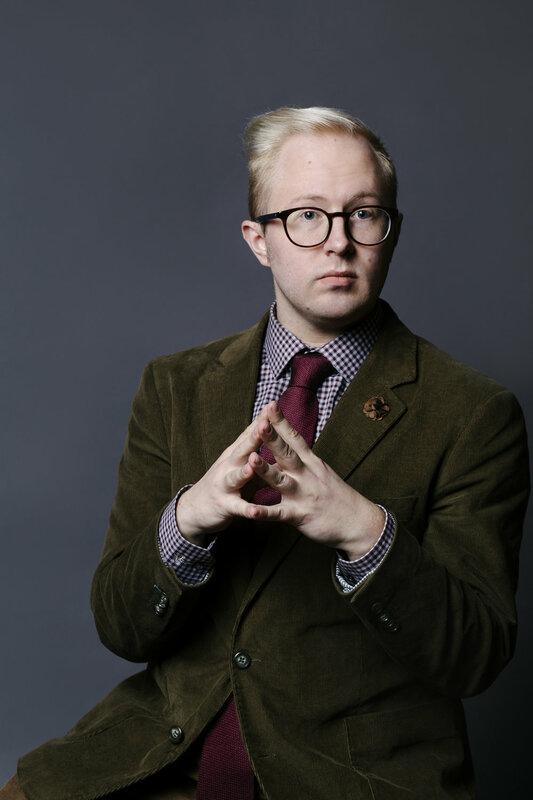 Pianist Matt Piet is a Palos Park native who jumped into the local improvised music scene in 2014 when he returned home after finishing his studies at Boston’s Berklee School of Music. Since then, he’s rapidly achieved an exalted status among a younger generation of musicians through his abiding sense of curiosity, drive to collaborate, and raw talent. Earlier this year Piet dropped Rummage Out (Clean Feed) and Throw Tomatoes (Astral Spirits), albums he made with two of the working combos he’s developed with players a generation older than he is—a sign of the respect he’s earned. Now he’s saluting his peers with City in a Garden (Ears & Eyes), a new recording built around duos, trios, and quartets with some of Chicago’s most promising rising talent across nine untitled improvisations (I’ll forgive Piet for approving the awful album cover, which looks like a clip-art silhouette of Chicago). Depending on the collaborator, Piet swings fiercely or unravels wonderful shattered-glass clusters and jagged runs, revealing a keen knowledge of the history of jazz and improvised music. He achieves an impressive, slow-moving introspection with Macie Stewart, who braids astringent long tones on violin and vocals that shift from mournful, wordless melodies to impressive overtone singing. His quartet with saxophonist Gerrit Hatcher, bassist Charlie Kirchen, and drummer Julian Kirshner is tightly coiled as close intervals, friction, and tangled phrases seethe like livewire lashing the ground in unpredictable spasms before the combo locks into a forceful swing, balancing propulsion with frenetic digressions and raw energy; when the group is reduced to a trio with Hatcher, Piet suggests the early work of Cecil Taylor with phrases that surge and recede in elegant flurries. 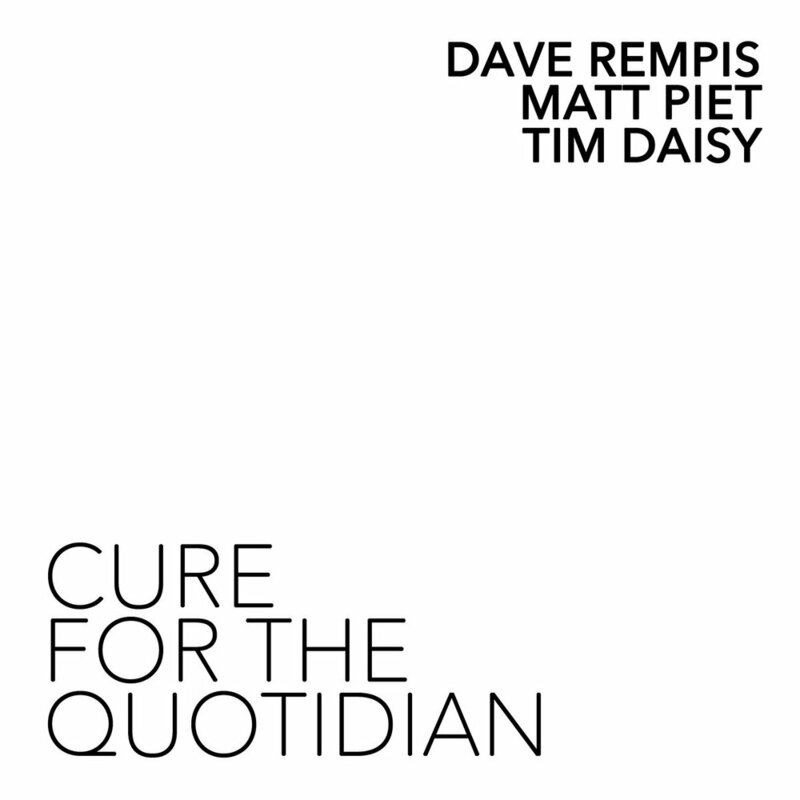 Guitarist Steve Marquette (the Few) brings a nifty post-Derek Bailey mixture of string hammering and flinty friction to his duets with Piet, who offers a comparatively lush counterpoint. Most of the players on the record—Hatcher, Kirshner, drummer Bill Harris, and saxophonist Jake Wark—will reconvene tonight, joined by violinist Johanna Brock, bassist Eli Namay, and guitarist Matt Murphy in a variety of small groupings. The creative set in Chicago always has both benefited and suffered from its lot of being planted between New York and Los Angeles. 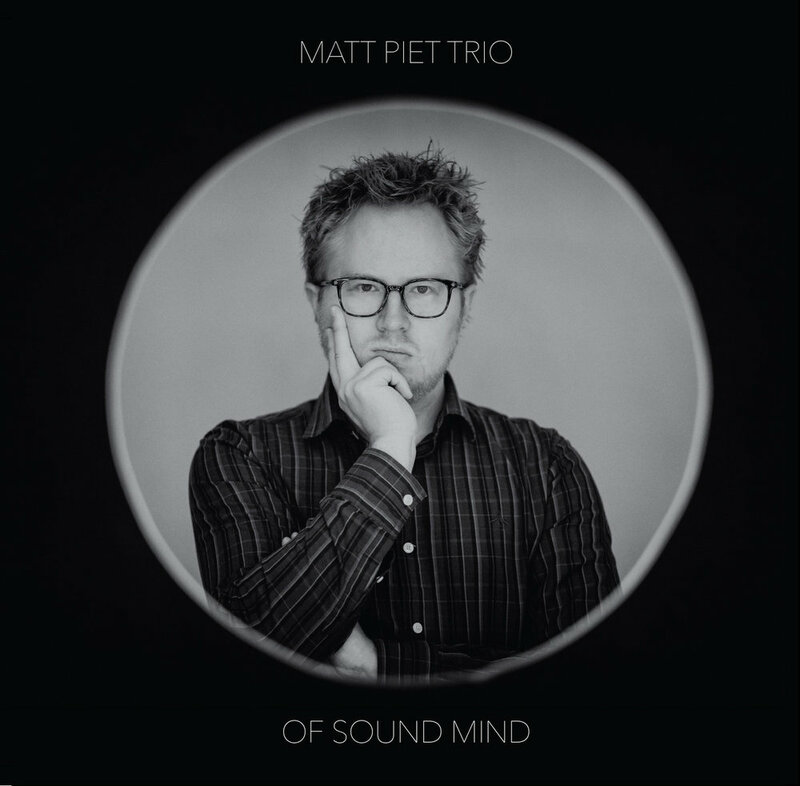 Improvising pianist Matt Piet’s work, firmly rooted in the lineage of the city’s creative music, is buoyed by its clear allegiance to the jazz tradition, while slyly insinuating the bandleader’s grounding in classical music. 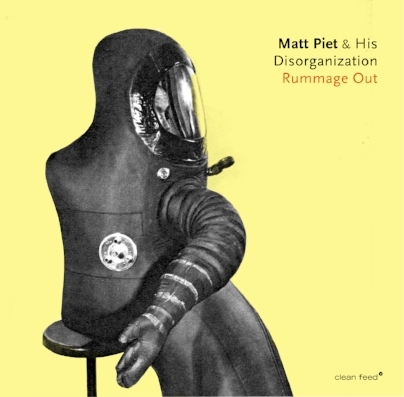 Split into two extended tracks, Matt Piet & His Disorganization open Rummage Out not with some searching piano, but the ringing of a bell on “Lost & Found.” There’s empty space there, as members of the quartet pry open the possibilities of their instruments. 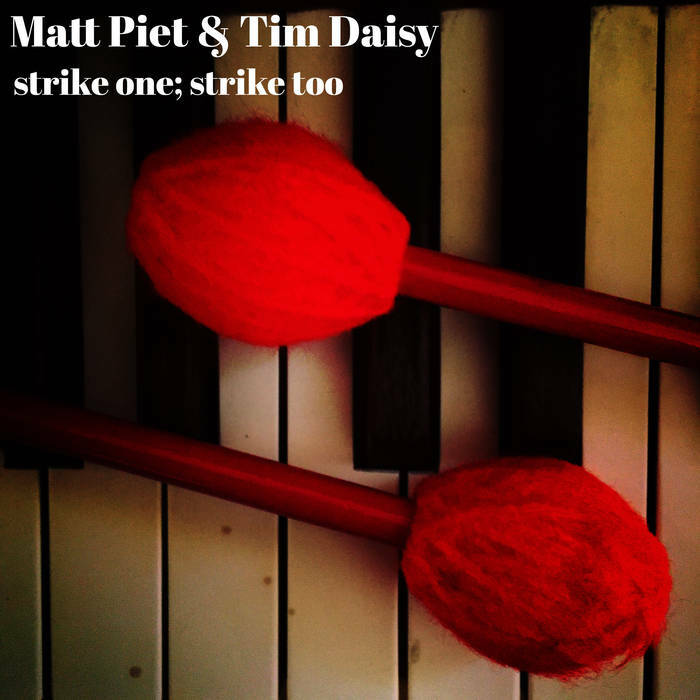 As the ringing ebbs alongside the whinnying of Josh Berman’s cornet and Nick Mazzarella’s alto saxophone, the quartet, which also includes stalwart percussionist Tim Daisy, lands on something just this side of spiritual jazz, tinged by Piet’s bouncy chording. What’s as remarkable as the music here is that Piet’s most frequently been found performing as a member of Four Letter Words or heading up a trio of his own making. The confluence of newly discovered musical interests found here amid a lineup of some of Chicago’s best jazz-adjacent performers speaks to Piet’s vision, as well as his ability to seamlessly move through the genre’s most adventurous strains. 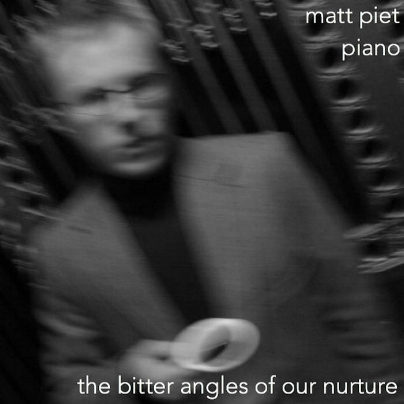 Since I first discovered the music of Matt Piet in the fall of 2016, the profile of the Chicago pianist has risen around town. Piet plays with the group of musicians associated with the Amalgam Music imprint, including drummer Bill Harris (the label’s owner) and saxophonist Jake Wark in Four Letter Words, and leads his own trio with bassist Charlie Kirchen and drummer Julian Kirshner. More recently, he’s also started working with a number of veteren players, and tonight he celebrates new recordings from two of these groups, both of which find him with one foot in 60s free jazz and the other in the present. Rummage Out (Clean Feed) is by the Disorganization, the pianist’s quartet with alto saxophonist Nick Mazzarella, cornetist Josh Berman, and drummer Tim Daisy. The two extended pieces on the recording reveal a composition-minded flow with shifting points of reference; “Lost and Found” opens with traces of the keening spirituality found in the mid-60s work of John Coltrane before flipping to the tap-dance percussiveness of early Cecil Taylor in a wonderful duo passage between Piet and Daisy. Piet’s cohorts have a long history together, but he seems to be a natural fit as he helps push the group’s improvisations from one episode to the next with both voluble and sparse keyboard transitions. The second new release, Throw Tomatoes (Astral Spirits), is by Piet’s trio with Daisy and saxophonist Dave Rempis. I caught an early performance of the group where Piet regrettably tried to match the power of the reedist, and the performance fell flat, but their album indicates that he’s found a convincing rapport in this ensemble too. The music is more fiery and open-ended than his work with the Disorganization, but for each spell of raging intensity there’s a delicate, introspective response. Both releases show that Piet has already delivered serious dividends on his promise as a musician. And here he gets it. 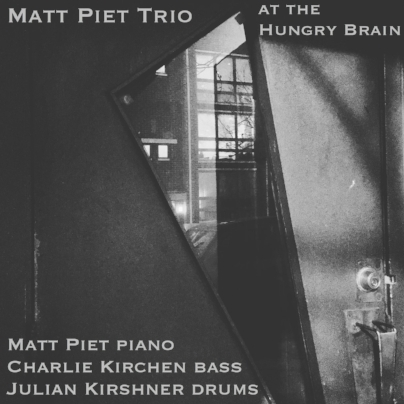 Piet brings drummer Julian Kirshner back into the mix and adds bassist Charlie Kirchen to the roster for these three live gigs. To be honest, I have not enjoyed a piano album as much as this since I was a kid and I stumbled across the Chick Corea Akoustic Band. I had a part time job working in a bookstore one summer and I could play whatever music I wanted. I had the cassette and whenever I opened the store and got past the security code, that tape went in the player. Understandably, their approach to the piano trio is very different, but that feeling of being in the presence of something special is still the same. In a new jazz world of huge orchestras and electronic experimentation, Piet manages to carve out three amazing records full of fresh ideas. A new message in an old medium. Everywhere throughout these records you can hear the influences from the players he studied like Misha Mengelberg, Craig Taborn and Cecil Taylor, but when he ditches the past and allows his muscle memory control the proceedings, his classical flares and acute improv senses take over and the real magic happens. There is an obvious progression both in execution and flow of ideas from Of Sound Mind to here. It really is everything you could want in a forward thinking trio. As if we have gone full circle, Live at Elastic Arts begins with a track called 1. This record delves back into the long form as the group who are full of gas, explode out of the gate with speed and nimble fingers but soon changes gears with a bowed bass and a very expressive piano narrative. Three very solid records to establish this trio as a new force. Of Sound Mind (Amalgam Music) is a fully improvised session, but the performances are clearly rooted in jazz. All three musicians give the work a hearty sense of propulsion, and Piet is a melodic player, but his tunefulness is thrillingly shaken by a rhythmic volatility and a fractal sense of phrasing. I'll admit I was a bit skeptical when I saw the cover shot, which pictures Piet, hand on chin in a pose of self-conscious contemplation, but the music has kept me coming back, reminding me of the quicksilver attack of Cecil Taylor's music in the late 50s and early 60s. The trio is exceptionally loose and nimble, moving with impressive agility and responsiveness. It's doubly exciting to hear a new pianist locally; apart from veterans like Jim Baker and Paul Giallorenzo, as well as Rooms keyboardist Dan Pierson, Chicago's improvised music scene feels chronically short of pianists. The entire album is a treat, but below you can check out a piece called "The Dr. Will See You Now," which contains a beguiling range of attacks, moving from a wobbly ballad feel at the start to a torrent of tumbling motion, with plenty of asides and explosions in between. Piet will celebrate the release of the new album with a performance on Saturday at Constellation. He'll be joined by Kirshner and bassist Charlie Kirchen (of Rooms), who subs for Wildeman.